I have never met Herbert Simon. Some years ago prof. Bianor asked me to invite him to Brazil to give a lecture at EBAPE. I don't know what a personal talk with Simon would be like, because I guess we like "the same girls". I mean, we like the same scientific questions: cognitive psychology, decision making, economics, artificial intelligence, management science, operations research, and so forth. Either we would talk for hours and hours, or we would not be able to speak to one another at all. (Either way, it would have been amazingly cool.) For all that he has accomplished, and that is an immense lot, I am really skeptical of a big part of it. For instance, his chess theory and my chess theory seem to be from totally different planets. I think his approach to artificial intelligence is not a promising avenue; and of course from these emails our differences in decision-making theories should be obvious. Anyway, I contacted one of his colleagues, renowned chess psychologist Fernand Gobet, which, unfortunately, told me that Prof. Simon had just died. So he never came to visit us. To get back to the first point, how should Simon's theory of decision-making be evaluated given the enormous evidence from psychology, from priming studies, and from unconscious influences on human behavior? Once again, Simon wrote: "[Some of] these activities--fixing agendas, setting goals, and designing actions are usually called problem-solving. The last--evaluating and choosing, is usually called decision-making." How do we fix our agendas? How do we set our goals? How do we design a set of actions? How do we evaluate each possible action? How do we select one out of many? Consciously, right? By thinking about the problems consciously. By thinking about what we want, and how we could get there. Well, that's very very true, but the point is, what happens when we think consciously? A lot of unconscious stuff. And, most of the time, this unconscious stuff takes many decisions for us. Look at this example: which problem is harder? (A) A bat and a ball cost 238 in total. If the bat costs 112 more than the ball, how much is the ball? (B) A bat and a ball cost 110 in total. If the bat costs 100 more than the ball, how much is the ball? Most people will say (A) is harder. But most people would get (B)'s answer wrong. The "unconscious stuff" that goes on when we solve (B) actually makes us prone to errors. We think the ball costs 10, while it should be obvious that it does not. We are primed by the numbers 110 and 100 to get a wrong answer. Jarbas is writing a fascinating study of this phenomenon. A psychologist named John Bargh is the world's expert on priming. He has shown that, by making subtle experiments, you can alter people's goals, attitudes, and behavior in all kinds of directions. You can make good people more prone to act in an aggressive way, for instance. Most importantly, people never discover that they have been 'manipulated'. This fact is extremely important for decision-making theories, and, at the same time, is ignored by them (some exceptions being Klein and Hofstadter). The previous bats and balls problem comes from the heuristics & biases research school, was cited by Kahneman at his Nobel lecture, and has been studied in detail by Shane Frederick. One of their ideas is that decisions are affected by two different systems in the mind, intuition and reason. Intuition would be the unconscious, automatic steps taken in our minds without any effort, and it would present "reason" with a possible solution to any problem. This solution could be accepted or rejected consciously. 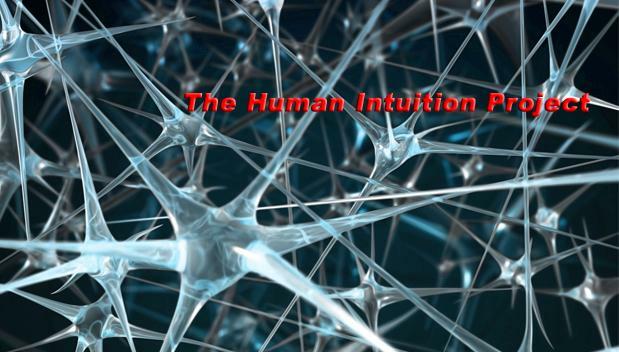 At the first MIM class earlier this year, someone asked me to define intuition, and I didn't respond. "Tricky philosophical business", I said, or something to the effect. But the question remained in my mind, and a definition that now comes to me is part of another question: Why do humans have intuition? Or, to rephrase, why don't we just have instinct? Consider what happens when a domesticated horse that has never seen a lion first sees one. Does the horse ignore the lion? That's a plausible alternative, after all, since the horse never learned that lions can be dangerous. But they have instinct. So an adult horse that has never seen a lion freaks out completely whenever they see one for the first time. A pure adrenaline shock. All pre-programmed by instinct to respond to danger. Humans, of course, also have instinct. But we have evolved what can be called "the ability to acquire instinct". Because we are a species that spread through all habitats, it was more important to be able to acquire immediate, automatic, unconscious responses by learning than to be pre-programmed genetically towards predator species. It takes time, genetic time, evolutionary time, generations after generations time, to develop instinct. We moved from habitat to habitat very rapidly, so fear, repulsion, anger, attraction, could not be brought to you by instinctive impulses. And it's not just "animals" we have to defend from. We have to defend from the world's greatest predator, the perfect predator, ourselves. We have human enemy clans to defend from--so the ability to acquire "new instincts" is, for us, extremely important. In fact, for all species found across numerous habitats, intuition should be important. But, if I'm correct, species confined to a single habitat, with a fixed set of prey and predators, should not bother to develop the cognitive skills to acquire new instincts. So my definition of intuition is: acquired instinct. The good side of all of this is that we humans can transfer the cognitive ability to acquire knowledge to intuition. As children, we have to consciously learn the shapes of letters, and painfully slowly read words; as adults, the words are simply there, as if no effort of interpretation was carried out. Chess beginners consciously have to think about what to do; chess masters just do "the best move", as Capablanca said, rather remarkably. And, as Gary Klein has shown, the same thing is found from nurses to firefighters to the military, and so on. One of the things I'd like us to do is to show that the same effects arise in top decision-makers, such as heads of state or central bankers, and show that this thing about intuition and unconscious knowledge means serious business. Another thing is to show the centrality of analogy; yet another one is to provide a mathematical model alternative to the rational actor model, and apply it to one or two economic problems. There are huge opportunities out there for doing great, significant, work. I hope we'll grasp some. Who put reason on the centerstage of decision?